The Indonesia Open Chess Championship 2013 entered round nine this morning, the first of two rounds today, with the eleventh and final round tomorrow! On top board the first seed, GM Alexander Moiseenko (6/8), got another shot at GM Alexey Dreev (6.5/8) after defaulting against him earlier in round six and it was an engrossing struggle where in the end Moiseenko’s extra pawn could not make the difference. A little further back, the more fascinating match-ups were GM Nigel Short (5.5) up against the currently red hot WGM Elisabeth Paehtz (5.5) where it proved to be a stalemate, GM Ivan Ivanisevic (5.5) against IM Nguyen Duc Hoa (5.5) in a battle of determined players where the Vietnamese once again impressed, while a former prodigy in GM Nguyen Ngoc Truong Son (5.5) played former world championship contender in GM Jaan Ehlvest (5) and the game fittingly ended in a draw! 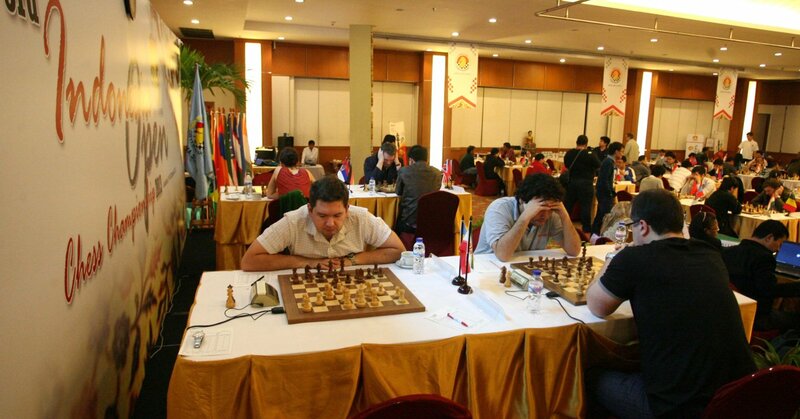 There was also quite a buzz among the Indonesian officials, players and spectators even before the start as three locals, IM Dede Lioe (5) was in line for a GM norm and his fellow SEA Games trainees, Mohamand Ervan and Masruri Rahman (5) already achieved IM title norms! In fact no less than 12 players had a chance for title norms this round but only FM Anjas Novitas, with a determined win over IM Denny Juswanto when only needing a draw got an IM norm. In other notable results, GM Abhijeet Gupta (4.5) beat GM Munkhgal Gombosuren in a wild game (4.5), GM Oliver Barbosa (4.5) outplayed GM Antoaneta Stefanova in unorthodox fashion (4.5), GM Cao Sang (4.5) prevailed against GM Salem A R Saleh (4.5), GM Shyam Sundar M (4.5) proved too strong for GM Hossain Enamul (4.5), IM Dede Lioe (4.5) lost against GM Batchuluun Tsegmed (4.5),after losing control of a promising position, GM Susanto Megaranto (4.5) won comfortably against Mohamad Ervan (4.5), IM Steven Yap Kim (4.5) could not hold GM GN Gopal (4.5), GM Vaibhav Suri (4.5) outclassed Masruri Rahman (4.5), IM Nguyen Van Huy (4.5) lost against GM Vadim Malakhatko (4.5) and IM Oliver Dimakiling (4.5) surprisingly crashed against GM Darwin Laylo (4.5). 1-2. 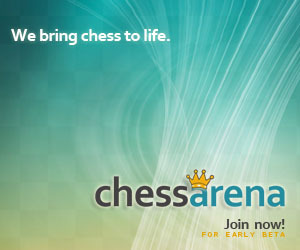 Dreev and Ganguly 7/9, 3-5 Moiseenko, Mareco and Nguyen Duc Hoa 6.5/9, 6-19 Short, Nguyen Ngoc Truong Son, Malakhatko, Abhijeet Gupta, Barbosa, Vaibhav Suri, Syam Sundar, Cao Sang, Batchuluun Tsegmed, Megaranto, G N Gopal, Laylo, Dao, and Paehtz 6/9.